Melt butter in the bottom of a heavy-bottomed pan over medium high heat. Stir in vanilla, sweetener, cinnamon and salt until sweetener is melted. Remove pan from the heat and add the walnut pieces. 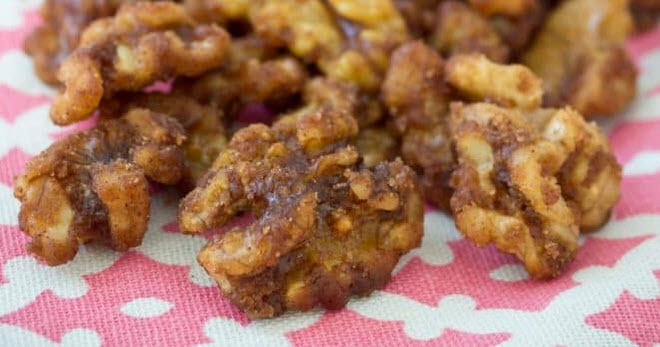 Use a spatula to gently toss the walnuts until they are fully coated with the syrup. At first, not much syrup will adhere to the nuts, but keep working. The syrup thickens and adheres as it cools. Cool nuts completely before serving. Store fully cooled nuts in an airtight container at room temperature for up to 2 weeks.